Looking for a healthy snack to help keep your resolution for a healthy new year? 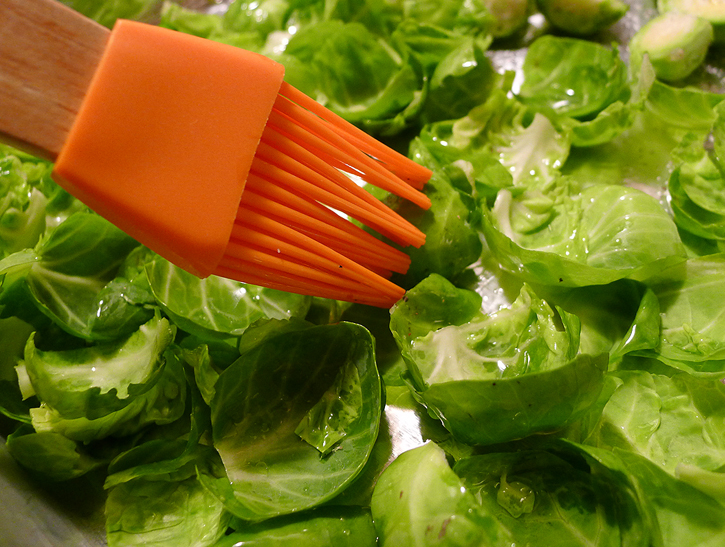 Brussels Sprouts Chips are an excellent choice! I’ve always thought that Brussels Sprouts get a bad rap. People just don’t like them. I never had them growing up, but was introduced a few years ago and thought they were really good. Especially if they are roasted. I could eat roasted Brussels Sprouts as a snack every single day, they are so good. I read a blog post not too long ago where someone made chips with them and thought that I had to try it! All you have to do is peel the layers of the Sprouts and spread them onto a pan lined with parchment paper. I then spread a little bit of olive oil on the chips with a basting brush. You don’t need a ton of it, just a nice coating. Lightly sprinkle some salt and/or pepper on the Chips. I’ve also used garlic powder and that was really good. I’m sure they would be good with other seasonings, feel free to experiment. Bake the Chips at 350 degrees (F), for about 10 minutes, or until they are the crispiness that you desire. My husband tends to like them very well done, I like them less well done. So we try to go for a happy medium. They Chips are so light and crispy, you will love them! 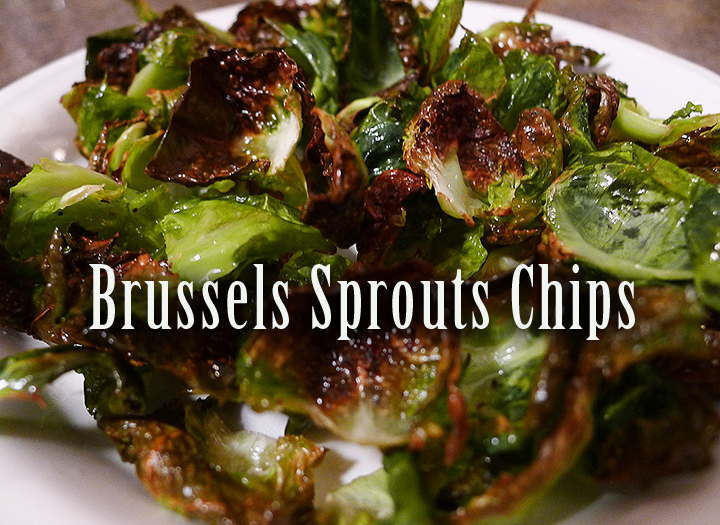 This entry was posted in appetizer, healthy, recipe and tagged appetizer, brussels sprouts, chips, roasted, snack.